John Cassaday was born in 1971 in Fort Worth Texas. Like most comic creators, Cassaday got his start working for independent publishers, and they were Boneyard Press (Flowers on the Razorwire) and Caliber Comics (Negative Burn). From there, John found work doing some Ghost covers and eventually penciling an entire issue of Ghost (#27) for Dark Horse Comics. His next gig found him penciling an annual for the Teen Titans at DC Comics. He was next wooed to Marvel with the help of Mark Waid (who noticed John at a previous convention) and they worked together on a project entitled Kazar: Sibling Rivalry. 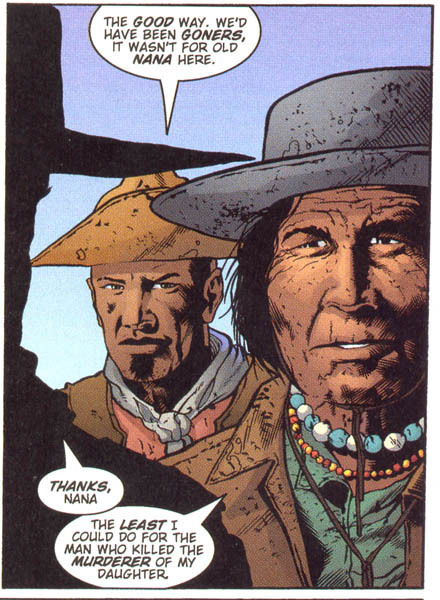 Soon after, Homage scooped up the talented artist and John’s next assignment was Desperados. For the next while John went back and forth and worked for both Marvel and DC’s Wildstorm working on limited-series’ Union Jack and X-Men/Alpha Flight (Marvel) and penciling The Planetary for DC’s Wildstorm imprint. Things kept moving forward for the talented artist and he was then asked to pencil the relaunch of Marvel’s patriotic icon Captain America for their Marvel Knights imprint. But perhaps the defining moment in John Cassaday’s comic career occurred when he became the penciler of Marvel’s newest X-franchise comicbook, The Astonishing X-Men. In years to come, John Cassaday may join the pantheon of other great artists who year after year and decade after decade were able to consistently create beautifully rendered comic pages. Artists like Jack Kirby, John Buscema and Neal Adams who have all attained legendary god-like status in the comic industry. I say this because of a quote I discovered when the great scribe Warren Ellis was asked to describe John Cassaday. His response, ‘the man is an illustration god’. Perhaps John Cassaday has already achieved that status. Image furnished by Jeff Mariotte. Jeff Mariotte is the award-winning author of more than forty novels, including the border horror trilogy Missing White Girl, River Runs Red, and Cold Black Hearts (as Jeffrey J. Mariotte), The Slab, the Witch Season teen horror quartet, and others. He also writes comic books, including the long-running horror/Western comic book series Desperadoes, original graphic novel Zombie Cop, and the bestselling biographical comic about Barack Obama, Presidential Material. He?s a co-owner of specialty bookstore Mysterious Galaxy in San Diego, and lives in southeastern Arizona on the Flying M Ranch. For more information, please visit www.jeffmariotte.com.